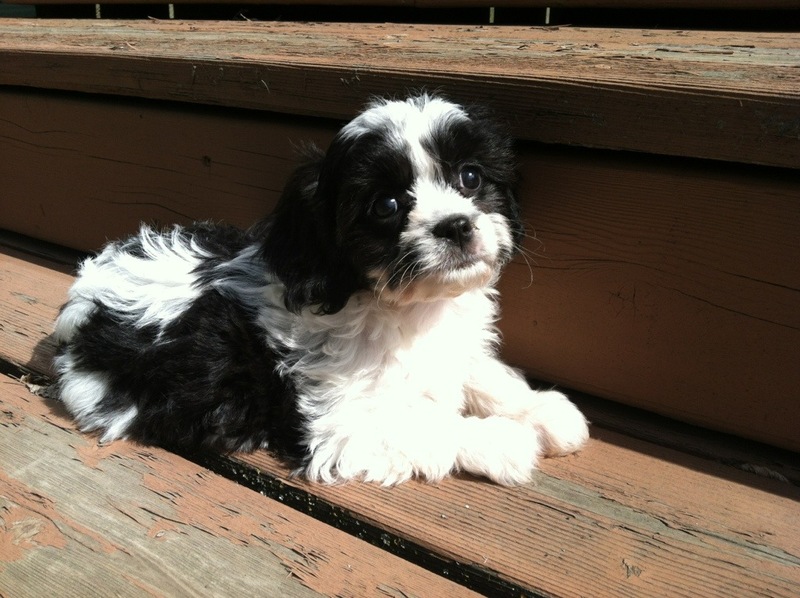 Things are falling together with puppy selection and the black/white females from Chelsea and Pansy’s litters. 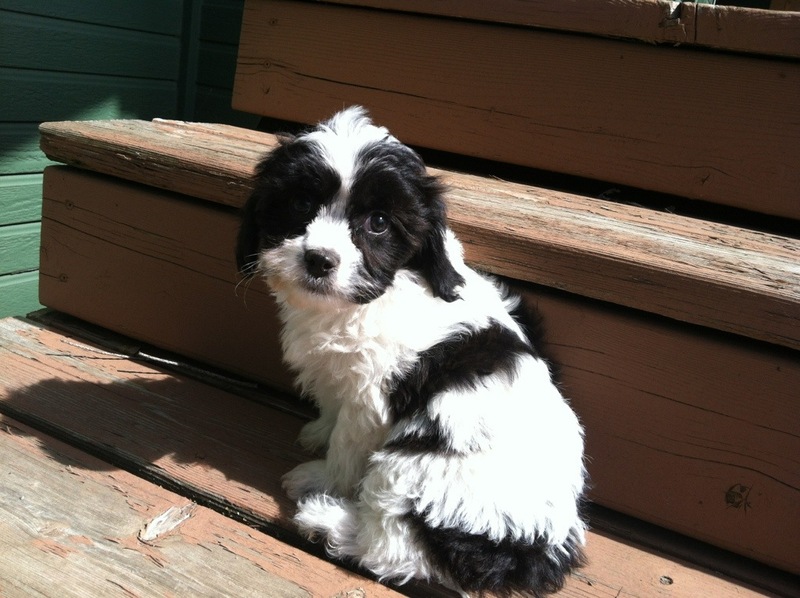 Congratulations to Shari who has selected the female from Pansy’s litter (not pictured). This puppy will be flying home to the east coast on Tuesday. This puppy will be flying home to Detroit tomorrow! This puppy will be flying home to New York Friday as well. 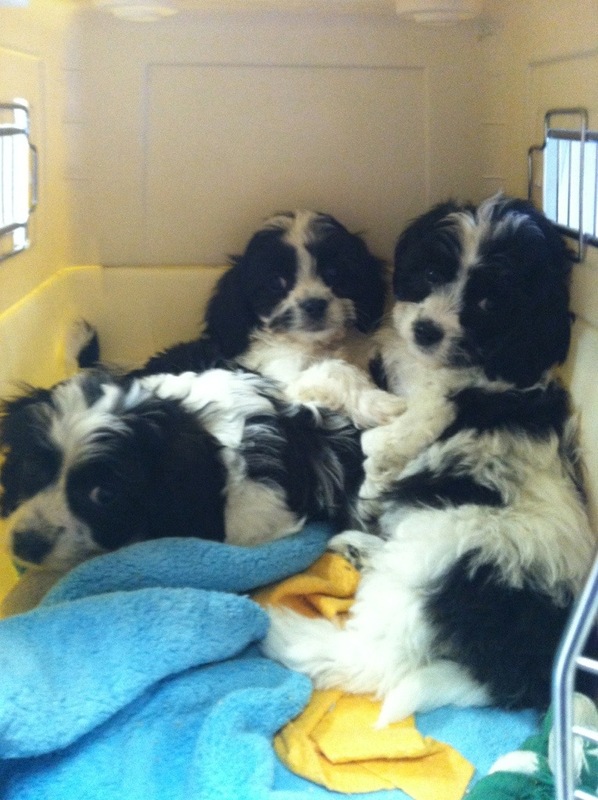 They all went to the vet today and got their Health Certificates. Everyone checked out beautifully and they were proclaimed healthy puppies! 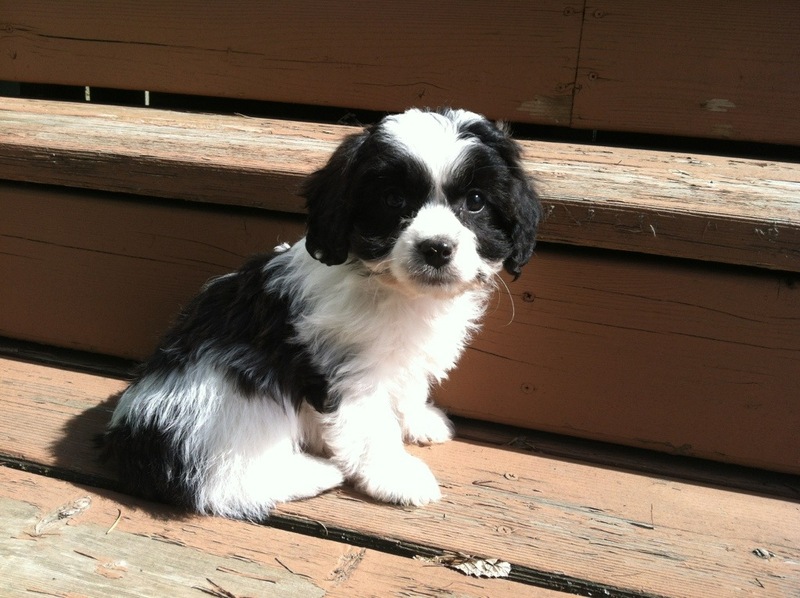 This entry was posted in Black & White, Cavachon, Daily Dog Stuff, Reserved Puppies, Sonny. Bookmark the permalink.